Christmas is finally over and with it the heavily discounted sales as well. 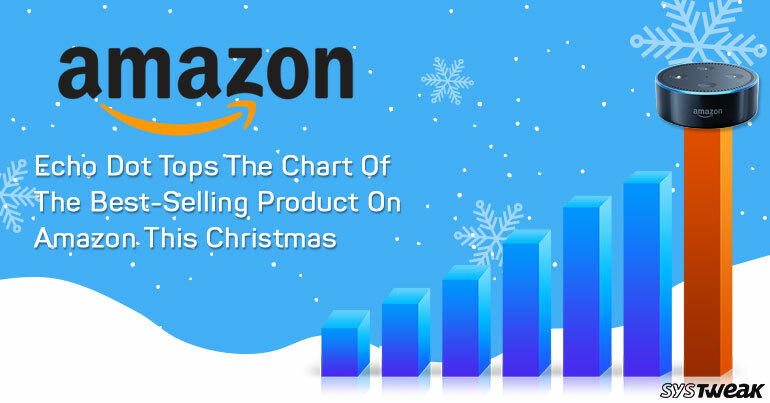 Amazon, the most famous online shopping platform recently shared its shopping data of this Christmas. They sold a remarkable number of gadgets and products from all the categories this holiday season. Amongst the top-selling Amazon devices, Amazon Echo Dot topped the chart. It also topped the charts of the most sold product on Amazon amongst all the categories. It is reported that tens of millions of Amazon’s Echo Dot were sold this Christmas. Looking at the massive demand, of Amazon’s Alexa-enabled devices like the Echo Dot, Echo Spot and the Echo Buttons went out of stock in no time. User can however pre-order these smart devices. Likewise, the app supporting all these smart devices, Amazon’s Alexa app also marked the maximum downloads on Christmas both for Android and Apple devices. This clearly shows the increasing number of users interested in using it. Apart from Echo Dot, other gadgets that topped the list amongst the Amazon devices were Fire TV Stick with Alexa Voice Remote. This too stood second in line across all the categories being sold on Amazon. See Also: Avail Flat 50% Discount This Christmas! As per last year’s selling charts Fire TV Stick was sold more than twice the number this year. It is reported Amazon also sold millions of it this holiday season. “This was Amazon’s biggest holiday season to date, “with customers all around the world shopping at record levels”. Amazon also witnessed almost 4 million users registering for Prime services as well as the free trial. Apart from the Amazon’s Echo products, it also saw a noteworthy rise in groceries. As per reports it sold almost 500,000 pounds of desserts at the cookie bars in its U.S. stores.